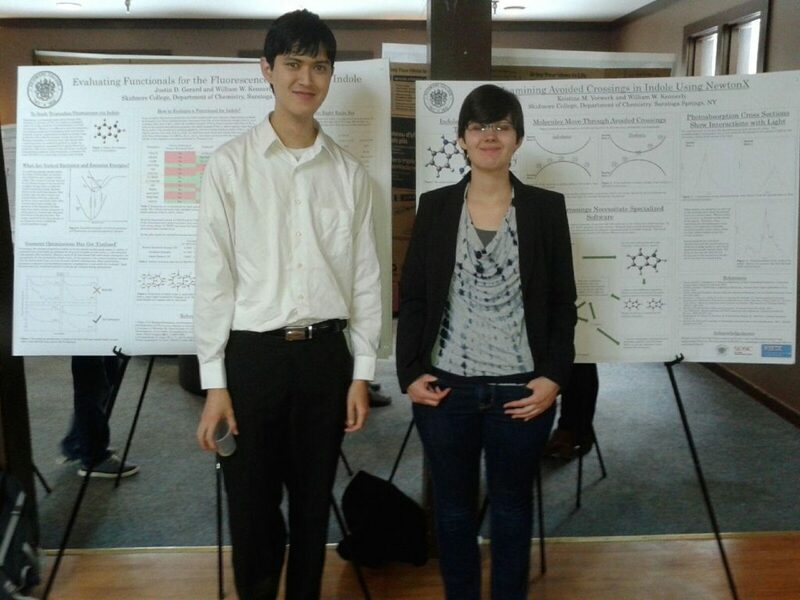 A bit belated recognition here, but in December at the end of the fall semester, Justin Gerard ’17 and Kristine Vorwerk ’17 each presented a poster at Skidmore College’s joint Chemistry/Biology winter celebration. Justin presented on his continued efforts to analyze functionals and basis sets for their suitability for calculating indole’s vertical absorption and emission energies, which turns out to be quite tricky business. Kristine presented on her new focus on using a free research-grade software package called NewtonX to calculate indole’s absorption spectra with more structure than a traditional software like Gaussian typically produces. Good work this semester!